It was once shiny and new. You loved it. Proud of all your hard work and rightly so. But what once filled your resourcing team with joy is now looking, well, just a little bit tired. Even worse, it’s not the talent magnet it used to be. If you’ve started to think your careers website is not quite hitting the mark – then chances are your candidates and existing employees will have too. 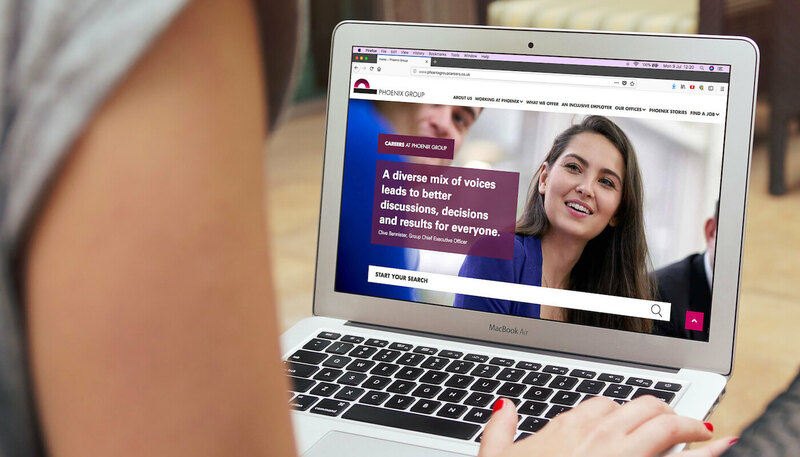 We design, develop and deliver careers websites, it’s part of how we help employers tell their stories and create award-winning employer brands. We know what good looks like – and we also know what to put right if the cracks have started to appear. Picture the scene – you put your company name and ‘careers’ or ‘jobs’ into Google and you don’t see your roles listed. Your careers website really should be there in the rankings – it used to be – but it’s not now. There’s actually a lot that goes into setting up a careers website so that it, and your roles, are found by Google. Page titles, URL structure and mobile optimisation certainly matter, but if your site isn’t set up for the newly launched Google for Jobs – you really do have a problem. Our article covers Everything you wanted to know about Google for Jobs and there’s a nice little free guide to download too. Maybe things have changed in the past couple of years in your business. There’s an emerging new culture and a great story to tell – but your careers website just doesn’t do justice to what it’s like to work for you now. Your careers website should be the flagship of your employer brand – but if it doesn’t look and feel like you – you run the risk of attracting candidates that possibly aren’t the best fit. Even worse – you won’t appeal to the ones you really want. You really have to fix that. It’s 2018 the last time we checked – not 2008. Research by Undercover Recruiter in 2017 found that 45% of job seekers search for jobs daily on their mobile device and that 89% of job seekers think mobile devices play a critical role in the job hunting process. If you aren’t offering a mobile-friendly job search experience, you are missing out on a lot of talented people and Google will penalise your ranking too. Even if you do have a mobile-friendly site, that doesn’t mean your candidates are going to love it. One of the worst offenders is the ‘one size fits all’ approach, with a single application process whatever the role – failing to meet the needs and expectations of different candidate groups. It’s also a wasted opportunity not to give any insight into what it’s like to work for you – or the roles themselves. You could improve the candidate user experience be using video to deliver messages from senior management, or even better, let existing employees talk about the roles and what it’s like to work for you. If you missed this off the spec when your current site was built, there’s no excuse now. If you want to reach and engage with your target candidates, you need to be where they are – and where the conversation is. Increasingly, that means Facebook, Twitter, Snapchat and Instagram. Social media is also where they share what they like and want others to know about. So your careers site should contain the sharing tools to help them do this. After all, candidates like to hear about your opportunities from people they know and trust in their social networks. Find out more on our thoughts on social media in our article How social media will support your employer brand.